The Widener Commonwealth Law Review (formerly Widener Law Journal) is the flagship law review of Widener University. Membership on the law review staff offers students the opportunity to demonstrate initiative, honed legal skills, and commitment to the advancement of legal scholarship. Staff members are selected from students on the Harrisburg Campus who demonstrate drive, commitment, and academic excellence. 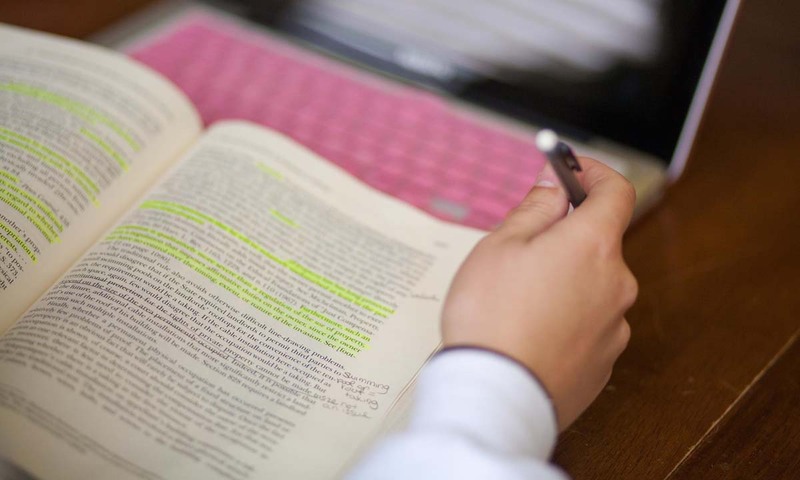 Membership on the Widener Commonwealth Law Review enhances the legal education students receive in the classroom by building on their legal writing skills through the training and practice of rigorous reviewing and editing. As an associate staff member, you will write a comment and a Pennsylvania administrative law case survey. Writing a comment provides a unique opportunity to publish novel legal scholarship on a wide array of topics early in your career. Student comments provide fresh insight and explore recent developments in emerging areas of the law. Your case survey will have an excellent chance of being published in the Law Review's “Annual Survey of Pennsylvania Administrative Law.” This special issue provides an excellent opportunity to publish your own legal scholarship as the Law Review seeks to build a substantial record of commentary on Pennsylvania administrative law. As a senior staff member or survey staff member, you will work with your colleagues to publish all materials for that issue’s annual survey. First published in 1992 as the Widener Journal of Public Law and until recently known as the Widener Law Journal, the Widener Commonwealth Law Review focuses on a wide range of topics, including constitutional law, civil and criminal law, professional ethics, administrative law, commercial law, and other emerging developments in the law. The Widener Commonwealth Law Review is published two times annually with one issue per year dedicated to the “Annual Survey of Pennsylvania Administrative Law,” which examines the administrative law decisions of Pennsylvania’s Supreme Court and Commonwealth Court, one of two intermediate appellate courts. The annual survey contributes to the Law School’s mission of providing critical resources to the state capital by publishing student-written case analyses of recent administrative law decisions. Each year, the Widener Commonwealth Law Review sponsors a symposium that brings together leading scholars, professors, judges, and practitioners to discuss history, advancements, and emerging issues related to a selected topic. Examples include Internet expression, sustainable energy, 50th anniversary of the National Conference of State Trial Judges, and Judicial Division of the American Bar Association. This annual regional event for judges, lawyers, and legal professionals provides credits for continuing legal education in Pennsylvania. The Widener Commonwealth Law Review is dedicated to the publication of a professional and scholarly law review. Staff members are committed to providing courteous, timely, and excellent service. We maintain a close-working relationship with each author throughout the publication process, and we pride ourselves on maintaining the author's voice in every published article. Authors can be assured that the Law Review will strive to meet each author's expectations of academic excellence. The Widener Commonwealth Law Review is committed to publishing legal writing that exhibits distinguished scholarship and conceptual merit, while facilitating the expression of diverse perspectives of prominent and contemporary legal issues. All of our published articles are made accessible through WESTLAW® and LEXIS®, and titles of all published articles appear in the Current Index to Legal Periodicals. Authors interested in being considered for publication should submit their manuscripts and all related correspondence to the address below. Submissions will not be returned. The business/external managing editor initially reviews all articles submitted for possible publication. This initial review involves not only a careful analysis of the article but also an examination of the author's background. The editor makes recommendations to the Law Review's executive committee and the committee conducts a meticulous, independent review of the article and typically determines, within three business days, whether the Law Review will extend an offer of publication. Upon a favorable decision by the committee, the editor personally contacts the author and thereafter sends the author a written Offer of Publication along with an Author's License Agreement. Following the Law Review's receipt of the fully executed License Agreement and an electronic copy of the article on diskette or by email submission, the editing process begins. There is no specific time frame to submit. Articles are accepted for consideration on a rolling basis. We encourage authors to submit as soon as their articles are ready for consideration. The goal of the editing process is to perfect the author's vision and not to replace it with our own. The voice of the author is her or his creation and not the Law Review's. Another important goal is to ensure that the text and footnotes of the article conform to the most recent edition of The Bluebook: A Uniform System of Citation. Pursuant to this goal, the article undergoes the Law Review's rigorous, multi-step editing process. The article is preliminarily reviewed by the internal managing editor who assigns it to an internal editor. The internal editor oversees much of the editing process, beginning with a source collection. In the event that any sources used by the author are not available through Widener University's Law Library, the author will be asked to provide copies of these sources. Next, the article undergoes a substantive edit, a citation edit, a quote check, and a grammar edit. Throughout each phase of this process, the article is first examined by a staff member and then reexamined by an internal editor. Once this stage is satisfactorily completed, the article undergoes an intensive edit by an assigned administrative board member, followed by a similar edit by the executive committee. The editor-in-chief conducts a final summary review, after which the article is forwarded to the author for his or her final approval. Following the incorporation of the author's final suggestions, if any, the article is sent to the Law Review's publisher. The editor-in-chief, with assistance from the managing editors, reviews the proof edition of the Law Review, and cosmetic corrections are made if and where necessary. Thereafter, the issue of the Law Review is printed, bound, and distributed to all subscribers. Why publish with the Widener Commonwealth Law Review? The Law Review is committed to protecting the author's vision and voice. The Law Review is committed to giving the author complete editorial control. The Law Review is dedicated to providing a professional law review publication. The Law Review is committed to meeting deadlines. Editors of the Law Review pay the utmost attention to detail. Editors of the Law Review are selected based on their academic excellence and paramount legal writing ability. Who has published with the Law Review? The price for domestic subscriptions to the Widener Commonwealth Law Review is $32.00 (US) per year, payable in advance by check or money order drawn on a United States bank. International subscribers must add an additional $6.00 (US) per year for postage costs. All subscriptions are renewed automatically unless notice to discontinue is given by August of the year of expiration.